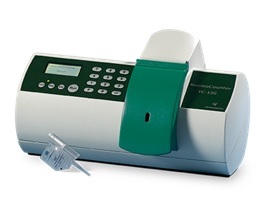 The NucleoCounter® YC-100™ is a yeast cell counter used to measure the total cell count and viability of yeast cells in suspension. With its high precision and accuracy the NucleoCounter® YC-100™ is perfect for those who want a true quality product being both maintenance and calibration free. The YC-100™ consists of a CCDcamera and an integrated fluorescence microscope designed to detect signals from the fluorescent dye, propidium iodide (PI) bound to DNA. Results from the YC-100™ represent either total or nonviable cell concentration, depending on the sample preparation. 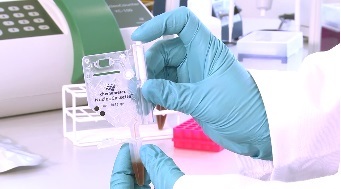 Fast and accurate DNA-based volumetric cell count within seconds are easily achieved using the NucleoCounter® YC-100™,independent of debris or substrate aggregates in the media.